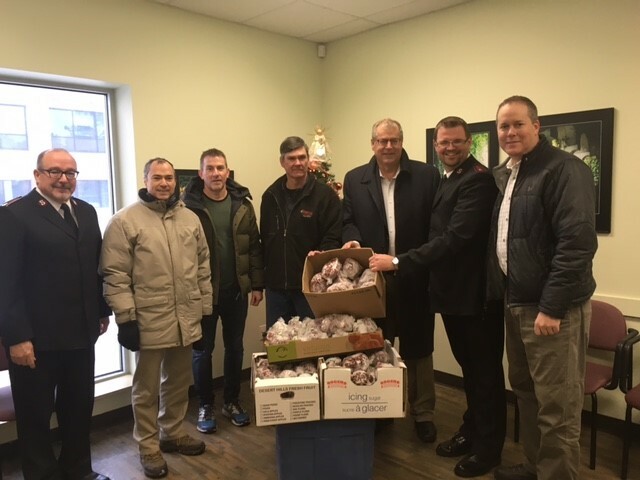 Since the Guide Outfitters Association of British Columbia’s (GOABC) meat donation program was first started in 1993, it has delivered more than 500,000 pounds of game meat to families in need and local organizations throughout British Columbia. Wild game meat is natural, organic and has no steroids, artificial colours, hormones or other chemicals. It is also lower in fat and higher in protein than commercial domestic meats. Today, 700 pounds of wild, free-range, organic wild game meat is being delivered to the Salvation Army Community Life Centre in Kelowna. We are pleased to have The Honourable Steve Thomson, Minister of Forests, Lands and Natural Resource Operations and Member of the Legislative Assembly (MLA) for Kelowna-Mission, and The Honourable Norm Letnick, Minister of Agriculture and Member of the Legislative Assembly (MLA) for Kelowna-Lake Country joining GOABC for the delivery. This is just one of the many donations our members and regional associations make throughout the province within their communities each year.